Burnley fell to just a fifth home defeat of the season yesterday when Jose Mourinho’s Manchester United beat us 2-0 with first half goals from Anthony Martial and Wayne Rooney. In truth, once behind, we didn’t seriously threaten to get back into the game and I think most people watching were certain where the points were going long before the final whistle. It was our last game of the season against the top six and I would think this one probably proved the most difficult of the lot against a team that is just not losing games. We know all about that from a year ago. On the same weekend in 2016, we’d been to Preston and won 1-0 to take our unbeaten run to 21 games and United, who haven’t lost a league game since the 4-0 drubbing at Chelsea in October, must now feel the same way. “United haven’t won at Burnley for 41 years,” was yesterday’s ridiculous statistic ahead of the game. They had, in the 2002/03 League Cup tie when Diego Forlan and Ole Gunnar Solskjaer scored for them. In the league, it might well have been 1976 when a Lou Macari goal relegated us but there had only been two league games between us since. For this one, Sean Dyche recalled Andre Gray in place of the injured Sam Vokes and he also had Johann Berg Gudmundsson available again for the first time in nine weeks following the injury sustained against Lincoln. Mourinho might well have injury problems but you wouldn’t have thought so looking at their line up. One of the missing players was, of course, Zlatan Ibrahimovic, and there is no doubt that any team would miss a world class player. However, I spoke to some United fans (they had Manchester accents too) and they suggested that United actually look a better side when Zlatan doesn’t play. Right from the start of the game, United looked the better side without creating any real chances. They had a couple of efforts that were dealt with but at the other end of the pitch we weren’t able to get the better of them at all other than, perhaps, one headed opportunity for Ben Mee. But midway through the half we fell behind and it all came from a Burnley attack. Andre Gray, in the left hand corner, played the ball back to Robbie Brady whose cross was cut out on the edge of the box by Wayne Rooney. It broke to Anthony Martial who got the better of Joey Barton and I’m sure Barton will now wonder why on earth he didn’t take a yellow card and bring him down. He didn’t and Martial played the ball out wide to Ander Herrera and then got into the box, took the return ball and finished comfortably. We had our best spell for a while after that but then, about six minutes before half time, they doubled their advantage with another goal coming almost directly from a Burnley attack. Gray, who played well, got in a good cross which they just about dealt with at the expense of a throw in. Matt Lowton took it but eventually referee Anthony Taylor awarded them a soft free kick on the edge of their box for a Barton foul. They took it long; Jesse Lingard outrun Mee but we recovered only for a Brady header to drop at the feet of Paul Pogba. His ball in for Martial saw Tom Heaton save but Rooney got ahead of Michael Keane to poke it home. There was no need to use the goal line technology, the ball was some distance over the line. We needed something to get back into the game and it almost came two minutes before the interval. Jeff Hendrick found Gray in the box. He turned superbly only to see his goal bound effort blocked by Eric Bailly. As much as they’d been the better side in the first half, the two goals came from situations that should have been dealt with. We couldn’t argue with the scoreline though. The second half looked a daunting prospect and was made more difficult with Mee, who had played every minute this season in the Premier League, forced off with a bruised shin giving James Tarkowski his first back four duty in the league this season. In truth, United always looked more than capable of keeping us at bay. We didn’t really threaten de Gea’s goal but there weren’t too many scares for us at the other end as the game petered out. There were a couple of positives. Gudmundsson got on and then Dan Agyei got a quarter of an hour and did get in one left foot shot in stoppage time that went just wide of the post. Overall though it had been a difficult game and, with results not being favourable elsewhere, it brought out the prophets of doom en masse. There really does need to be some perspective. As Dyche always says, we can’t affect anything elsewhere and in terms of our game, we’d just lost against a very good side who have now equalled our run of 23 unbeaten games. They are only one short of their own Premier League football. Of the top six and our games against them at home. We beat Liverpool and drew against Chelsea but have lost the other four. The Arsenal one was ridiculous, I didn’t think Manchester City deserved to beat us but more recently Spurs and Manchester United have but on those occasions they’ve looked very good. Are United the best team we’ve played at home this season? There’s an argument that, goalscoring apart, they could be the best team we’ve played on our travels and I would think they are the only team to come to the Turf this season who have controlled the game. The panic has set in with some but we are still five points clear of Swansea and with a far superior goal difference. I’d certainly wouldn’t swap their position for ours. It’s all still in our own hands with four games to play and we really don’t need many points at all. 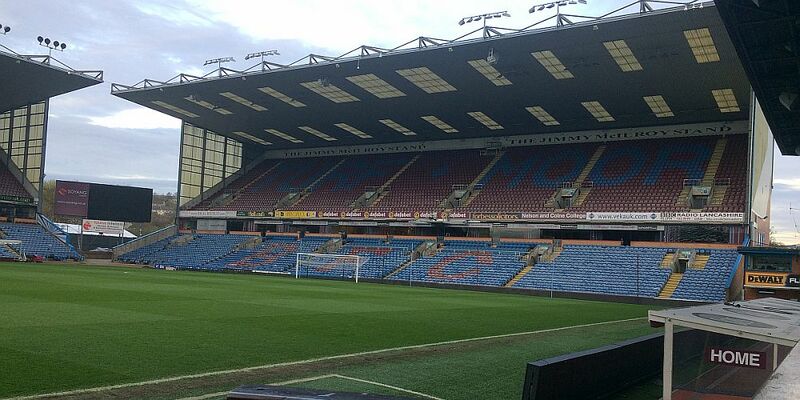 Burnley: Tom Heaton, Matt Lowton, Michael Keane, Ben Mee (James Tarkowski ht), Stephen Ward, George Boyd (Johann Berg Gudmundsson 62), Jeff Hendrick, Joey Barton, Robbie Brady, Ashley Barnes (Dan Agyei 75), Andre Gray. Subs not used: Nick Pope, Jon Flanagan, Ashley Westwood, Steven Defour. Yellow Cards: Matt Lowton, Jeff Hendrick. Manchester United: David de Gea, Ashley Young, Eric Bailly, Daley Blind, Matteo Darmian, Marouane Fellaini, Ander Herrera, Paul Pogba (Michael Carrick 90), Jesse Lingard (Marcus Rashford 70), Anthony Martial (Henrikh Mkhitaryan 80), Wayne Rooney. Subs not used: Sergio Romero, Luke Shaw, Timothy Fosu-Mensah, Axel Tuanzebe.